It Starts with TRUST | UC Berkeley Student Affairs Community Blog! Great Place to Work states that it is the everyday relationships built within an organization, not the perks and benefits, that make a workplace great. And it is the factor of trust that is at the center of it all. Their research states that managers and staff alike want to trust the people they work for and work together as a team/family in a trustful environment. As a leader, it is absolutely vital to create an environment of trust with your staff. 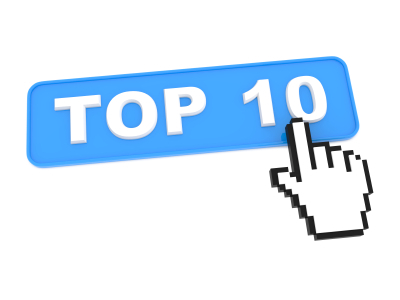 Many of you are already doing what is on the Top 10 list below. Challenge yourself to do two steps above your current baseline in the next month. Keep promises and tell the truth. This is the basis of integrity, which will lead to trust. Observe and acknowledge if trust has been broken. Little things can continue to bubble up and eventually take on a larger life of its own. Help minimize it by talking about it. Be as transparent as possible without breaking confidentiality. Even if you do not know the full implications, or if a decision has not been finalized, staff still want to feel that they are in the know. Allow for courageous spaces to talk about difficult issues. People need to feel safe in order to have an honest two-way dialogue. Encourage it. Share some of the bad news with your staff. According to Great Place to Work CEO Michael Bush, employees deal with difficult moments in their home lives that are even more challenging. Thus, they do not have to be shielded from workplace news. Consider all staff as equal partners. Seek opinions from all of your team members; each person is important to the success of the larger team. Act and speak with consistency. Contradictions create confusion, which can lead to distrust. Be open-minded. Your staff may have a different opinion or approach of how to handle a departmental challenge. Listen to their points of view that you may not be aware of. This will also show that you trust their opinion. Be clear on the road map when asking for feedback. Sometimes staff may think that their feedback will lead to immediate implementation on their thoughts. This may or may not happen. Be clear on what you will do with the feedback afterwards. Practice giftwork and offer help. Demonstrate behaviors that are based on relationship building and caring, versus having the majority of your interactions with staff be transactional.